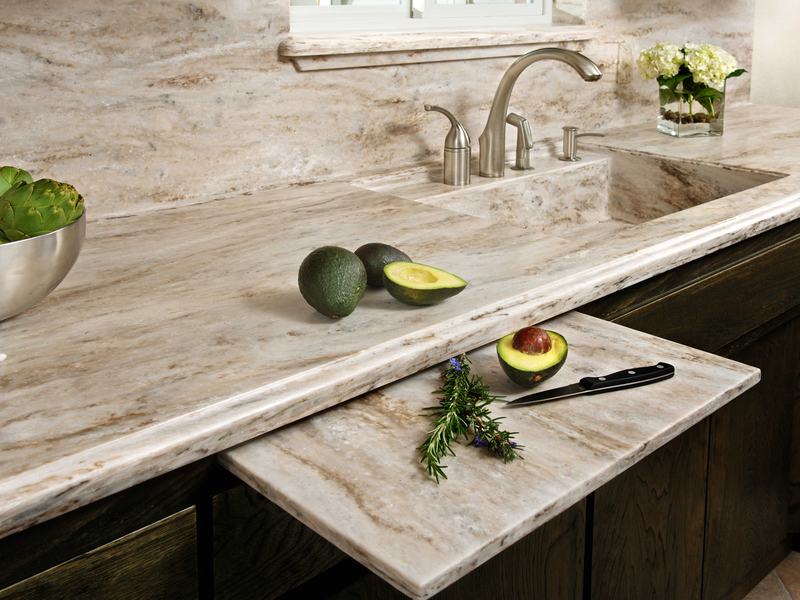 Get beautiful new countertops that fit your home, your lifestyle and your budget. 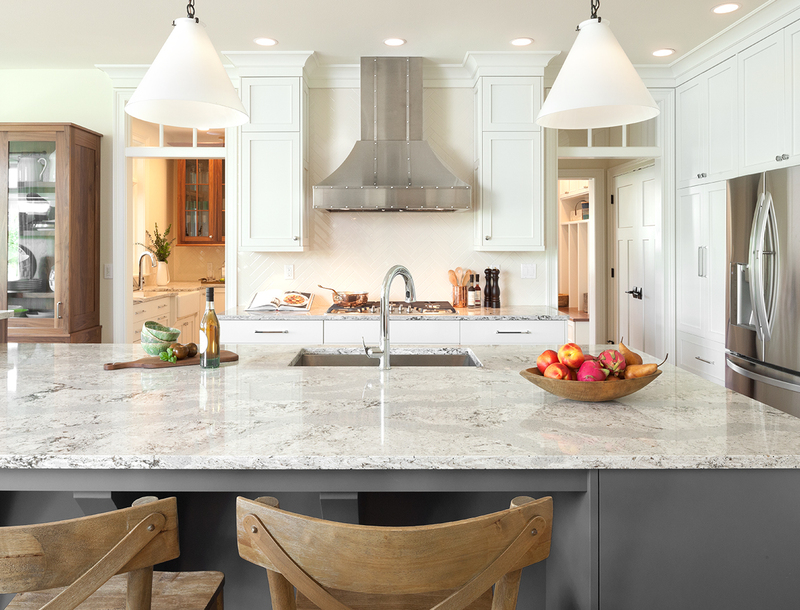 When deciding on countertops for your project, there are a number of factors to consider. Obviously, the overall cost of your surface-of-choice is an important consideration. The circumstances surrounding your particular project will determine how important a factor it becomes. Regardless, here is an overview of the relative cost of various countertop materials to help with your evaluation of the right solution for you. 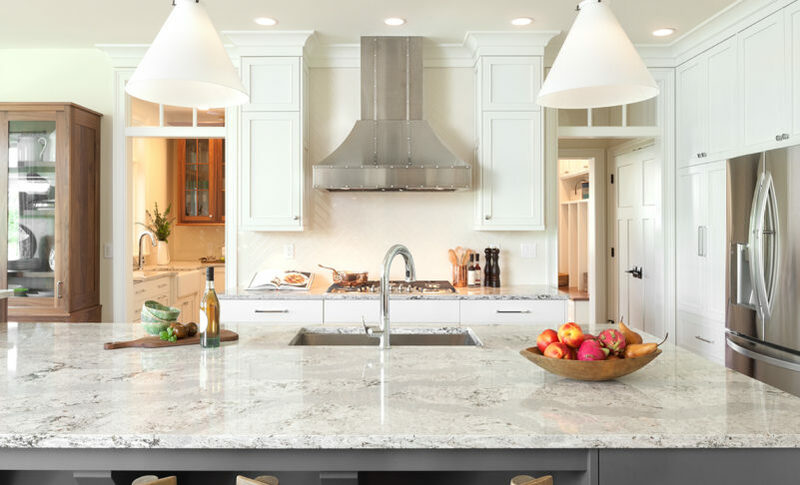 Quartz countertops are extremely durable, virtually maintenance-free, and non-porous meaning they are completely food-safe, will not absorb any bacteria and do not require any chemical sealants, polishing or reconditioning. Quartz surfaces from manufacturers like Hanstone and Cambria are offered in over 200 colors to work with any design or desired style. And as you can imagine, when compared to other countertop surface options, quartz countertops tend to cost more upfront to purchase and install. Given their beauty, durability and performance, they remain an ideal choice for home-owners who desire rock-solid reliability and timeless style. Wood countertops often referred to as butcher block, are unique in their warmth and beauty. Due to their composition, they can be more susceptible to surface scratches and heat damage than other countertop surface options. But these aren’t your grandpa’s wood countertops. 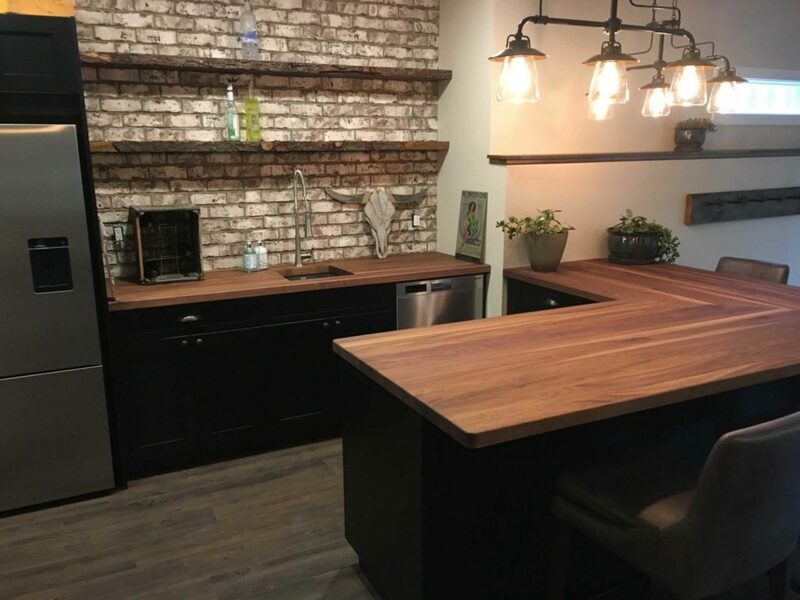 Our preferred supplier of wood countertops – Caribou, has developed proprietary treatments to develop a wood surface that is waterproof, food safe, and scratch resistant. While wood countertops typically required regular maintenance, Caribou Wood countertops do not require any chemical sealants or oil treatments. All Caribou wood butcher block surfaces are covered by a limited lifetime warranty. Solid surface countertops are an acrylic product consistently colored all the way through. Corian is the FLOFORM preferred brand when it comes to Solid Surface. Corian countertops are nonporous, and as a result stains, mould, mildew or bacteria cannot penetrate the surface. Although it is cut and pieced together, the joints in the Corian surface are glued, sanded and polished to produce a one-piece surface. 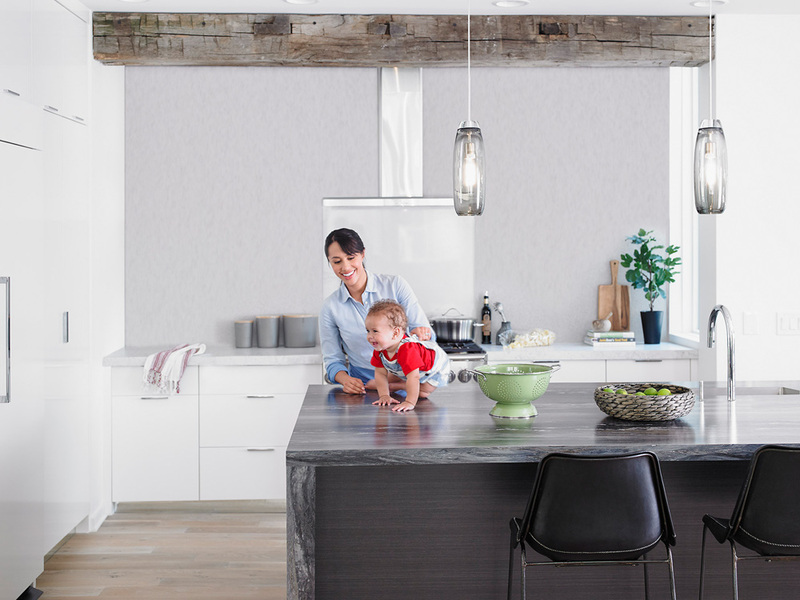 As a result, solid surface countertops are seamless and maintenance-free. Corian is also easy to clean, is repairable /renewable, and is a long-lasting, stylish material for a countertop. Laminate is an excellent choice for the more price-conscious renovator. Laminate is made from layers of paper impregnated with resin and then bonded together under high-pressure and high-temperature. Today’s laminate surfaces offer scratch and impact resistance, are easy to clean, and are able to be used in both horizontal and vertical applications depending on your project. And with literally hundreds of available colors, you can get the look of stone, wood, or anything else without breaking the bank. Not sure what color to pick for your countertop? Make sure to get the most out of our Free In-Home Consultation and schedule a visit with one of our professional designer TODAY!